The luxury real estate market is in excellent health. It benefits from low interest rates, the consequences of Brexit and an enhanced image of France in the eyes of both foreigners and ex-pat french nationals. 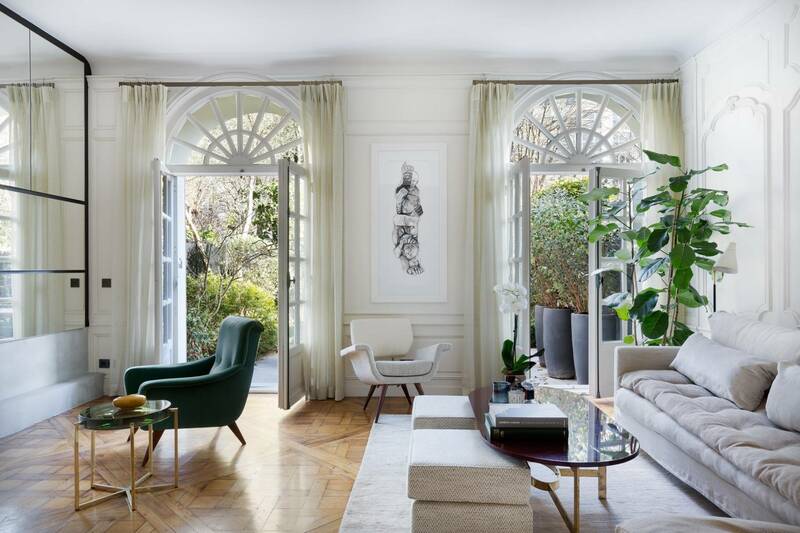 “In the Auteuil neighbourhood in the capital’s 16th District, the majority of 3-4 bed apartments at prices ranging between 1 and 1.5 million Euro, faultless and at the market price, sell within 48 hours” explains Bruno Vallery-Radot, Daniel Féau agency director in Auteuil. These ultra-rapid sales, with often several offers at the asking price, have multiplied over the past year. Almost half of the sales of bourgeois family apartments, the most sought-after by our clientele, are concluded without bank-loan suspensive conditions” he adds. Advertisements often don’t even have time to get onto platforms such as Seloger, Explorimmo or Belles Demeures, as the properties are snapped up by clients directly contacted by the agency by telephone or by mail. “Potential buyers must be among the first to visit and make an immediate offer” explains Charles-Marie Jottras, Daniel Féau’s president, who adds that “some are even ready to make an offer without even visiting the apartment”. Apart from in the 16th District, Neuilly-sur-Seine or Boulogne Billancourt where the demand for this type of family apartment is more significant, the pre-sale delay for under 150 sqm 3-bed family apartments has dropped from 80 days in the first semester of 2017 to 35 days in the first 5 months of 2018 across the Féau network which covers Paris and the “chic” neighbourhoods in the nearby suburbs. For rarer four-bed apartments, the delay has dropped from 62 to 23 days. “The pre-sale delays for more spacious apartments (above 250 sqm) and properties at prices exceeding 2 million euro have also decreased significantly, even though they remain noticeably longer” adds Charles-Marie Jottras. Idem in the Barnes luxury network which has achieved 85 sales in under 48 hours since January 2018, compared to 72 during the whole of 2017 (taking into account that the network sells a hundred or so properties per month in Paris and its close vicinity). “This surge concerns absolutely faultless apartments in mint condition and in good locations. The tendency is concentrated in Paris and not witnessed elsewhere in the country” puts into context Alexander Kraft, director of Sotheby's International Realty France and Monaco. “Elsewhere there is still a significant stock, and as a result buyers are in no rush”.